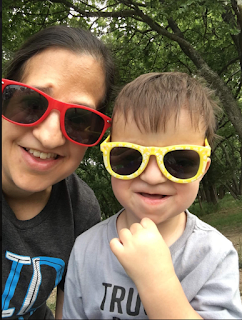 Araceli Kimberlin and Steven Weiss with their families will spearhead CCA’s Family Night Out in the West Village on August 16th from 5pm to 9pm. Araceli, CCA Mom, will host families on the patio of Village Burger Bar located at West Village. There will be complimentary appetizers and a kid-friendly craft activity. Araceli will facilitate conversations about CCA and craniofacial conditions. Steven will speak about his life and involvement with CCA at 6:30pm in the Kendra Scott store. Steven, too, felt strongly about advocating on behalf of those born with facial differences. He is a member of the CCA Board of Directors, which allows him to use his leadership and business skills to increase CCA’s reach to help more families. 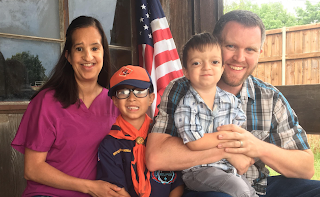 Steven was born with Crouzon syndrome, too. 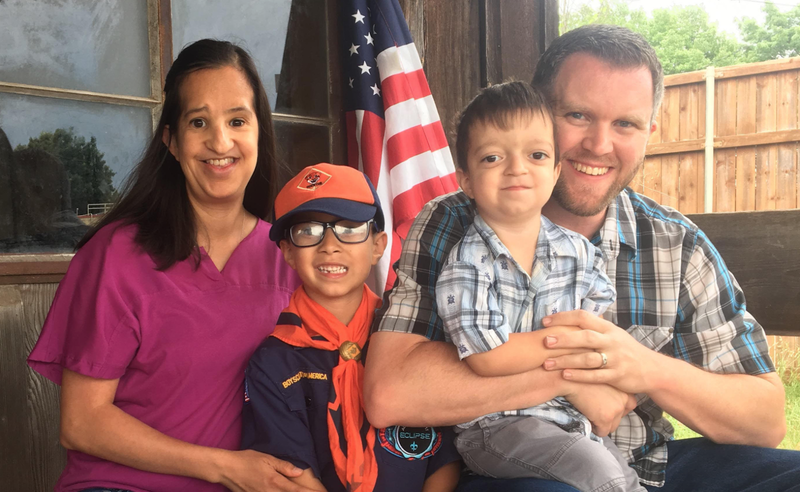 He shares his story about meeting his wife, Petty, and starting their family, with twins Blake and Claire, giving hope to young adults with facial differences that are looking to start healthy relationships and families. At each location, the stores will be donating a portion of the evenings proceeds to CCA. It’s the perfect time to shop and eat for a good cause. At Kendra Scott, we’ll be doing a raffle for everyone that makes a purchase to win a lovely gift basket and you don’t have to be present to win! The store is also accepting call-in orders, so no matter where you are in the country, you can participate. As long as the item is in stock, it will ship FREE to you! We hope you’ll join us for this Family Night Out, to mix and mingle with CCA family and friends and to help raise much needed funds for CCA in the process. If you do not live in Dallas you can still take part in the fun and raise money for CCA at the same time. 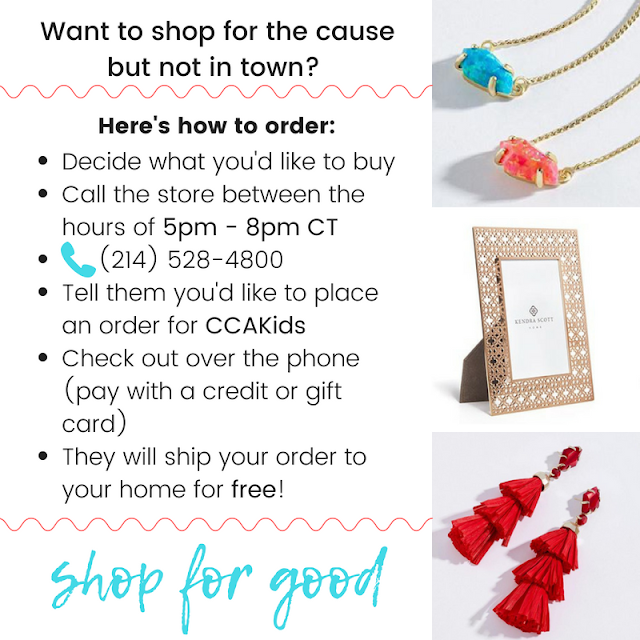 Just follow these directions to shop Kendra Scott on Thursday, August 16, 2018.